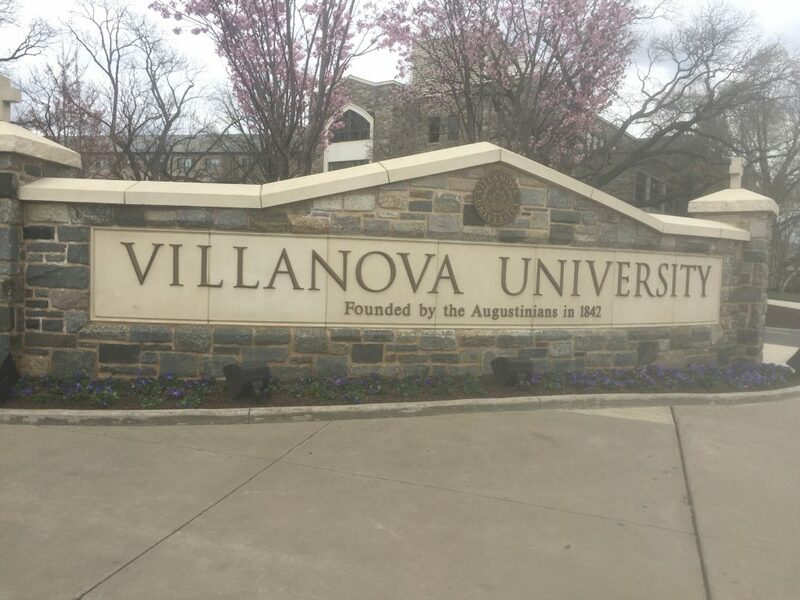 Villanova University is located only a few miles outside of Philadelphia, PA, known for strong school spirit, highly ranked sports teams, and a commitment to service. School spirit runs high at Villanova, and visiting a few weeks after their men’s basketball team won the NCAA won the Final Four Championship, it was apparent that “Nova Nation” loves sports. From flags and banners around campus, to students decked out in the school gear, there was an excitement buzzing throughout the school. 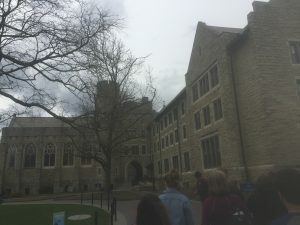 The campus is undergoing a lot of construction, including new dormitories to enable more upper classmen to live on campus and a new performing arts center. 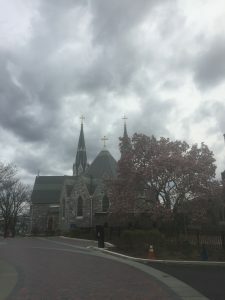 With 6,700 undergrads, Villanova is considered a medium-sized university, and it is affiliated with the Catholic Church, with 60-70% of students identifying as Catholic. 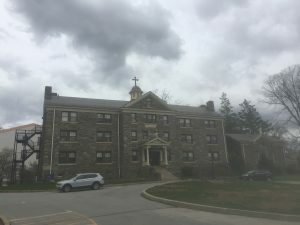 Service plays a large roll on campus, with many students involved in multiple service activities, and the school is proud that their students volunteer over 250,000 hours of community service per year. 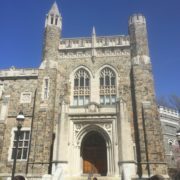 Students need to apply to one of the four colleges at Villanova (College of Arts and Sciences, Business, Engineering, and Nursing), and one thing that is somewhat unique is that students can double major or pursue a minor in a different college to the one they attend.